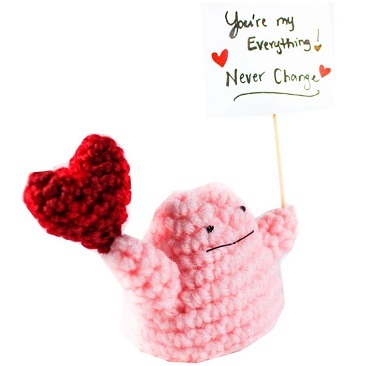 This little Ditto is approximately 2 inches tall and 3 inches wide. 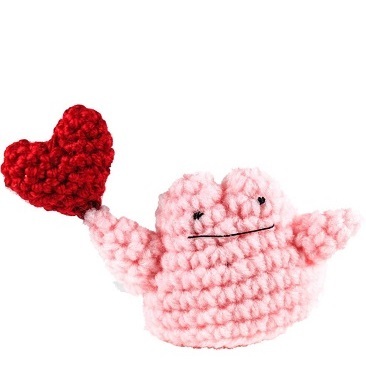 Comes holding tiny crochet heart. Sign not included unless specified in order comments. 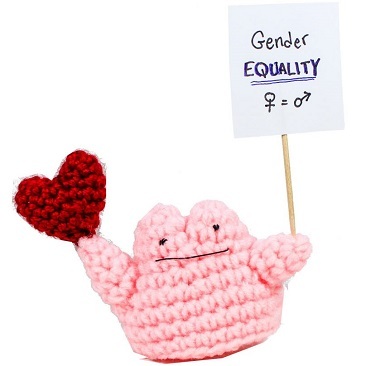 Transform your life with Ditto! 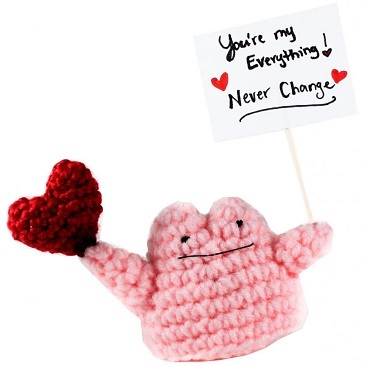 Don’t be fooled by how unimpressed it seems – this crochet Litten is dying to be a part of your family. Show a little love to this cute cat and choose Litten as your companion today! Litten is the fire-type starter from the most recently released pokemon games: pokemon sun and moon. Please allow 1 week for processing before shipping. This is Oshawott, the little sea otter Pokemon. 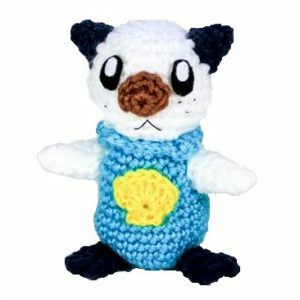 If you would like to crochet your own Oshawott, this pattern is available for FREE in the patterns section of my website! Did you know? Oshawott’s sea shell is called a scalchop. It is likely based off of a Japanese war fan, which were used for either signaling instructions to soldiers, or for actual warfare. Burn baby burn! 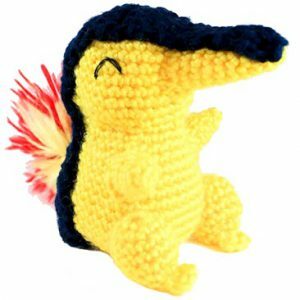 Here is my rendition of the fire Pokemon Cyndaquil. 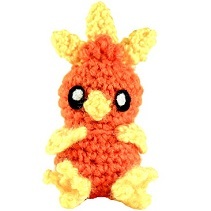 His back is lit with fuzzy flames meaning he is literally all fired up and ready to battle! 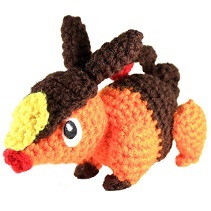 If you would like to crochet your own Cyndaquil, this pattern is available for FREE in the patterns section of my website!